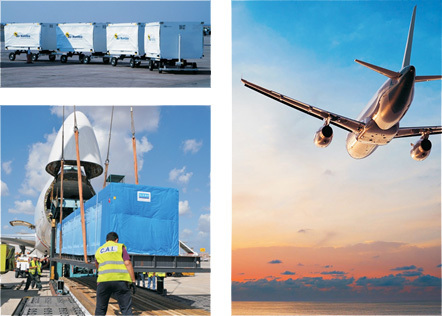 We provide customers with air transport services from all locations around the world. We help you to expand the world market, and put the entire planet become reachable. We ensure the goods are safe and timely delivery, regardless of where your goods are being sent. We have operated all kinds of commodities for instances, GENERAL CARGO [GARMENTS, FOOTWEARS, FURNITURES, HANDICRAFT...] and FROZEN / FRESH SEAFOOD as well as DANGEROUS GOODS. We have clear policy in establishing our good relationship with airliners based on each of airline's competences such as rate, space, capacity in both low and peak seasons, we select the best fit to our customer needs.